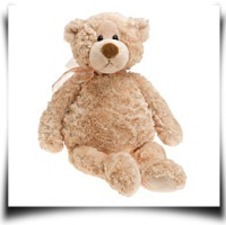 Your kids will cherish the Gund 16 - Inch Manni Bear . Among the many key characteristics for this product is the understuffed to be more cuddly and lovable. Other features include things like whimsical floppy bear w/plaid scarf and two tone face. The UPC barcode for this is 028399150168. The bear is available in medium brown. The teddy bear is 4.5" Height x 12" Length x 7" Width. It weighs close to 0.65 lbs. 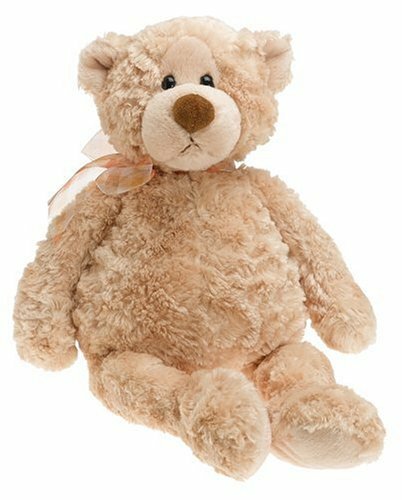 Always a provide of charm and comfort, GUND's line of teddy bears warms the heart of teddy bear enthusiasts young and old. Measures approximately 17 inches tall. Manni is produced from soft material and wears a light, pastel-colored scarf. Dimensions: Height: 4.5" Length: 12" Depth: 7"
Package: Height: 4.7" Length: 9.3" Width: 5.5"